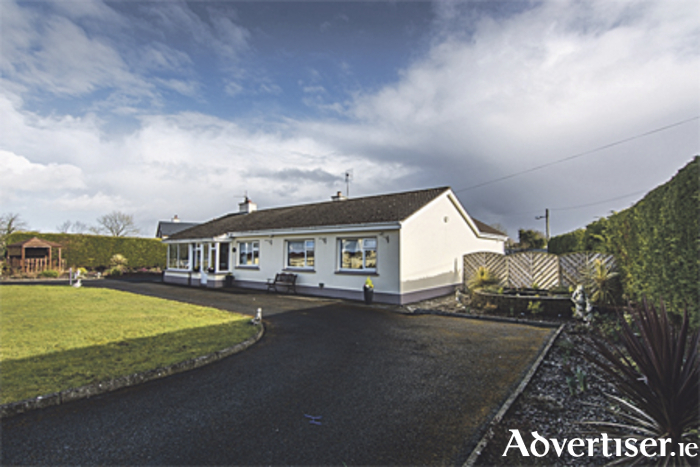 Beautifully presented and sitting on a large site with extensive outbuildings and storage to the rear, this superb property is located in a quiet neighbourhood on the outskirts of Athlone. Situated in the convenient location of the old N6 Ballinasloe road, this home is just a few minutes drive from local schools, shops, the post office, and all other amenities. The interior of the home comprises three bedrooms en-suite, multiple walk-in closets, oil fired central heating and solid fuel central heating, a sun room, and attractive décor. The property is approximately 148.2 sqm. Viewing is by appointment only. For more information or to make an appointment call agent Helena Kenny of Sherry FitzGerald O’Meara on (086 ) 8119190.